In A&M’s view, the most prudent operating assumption would be that there will be a ‘hard Brexit’, with the UK becoming a third country for financial services, with consequences for both UK-based financial services firms operating in EU27 countries, as well as for EU27 financial services firms wishing to operate in the UK. This is likely to have a number of impacts, which we group into four key categories; (1) market access, (2) citizens, (3) location of operational support, and (4) macro-economic conditions. 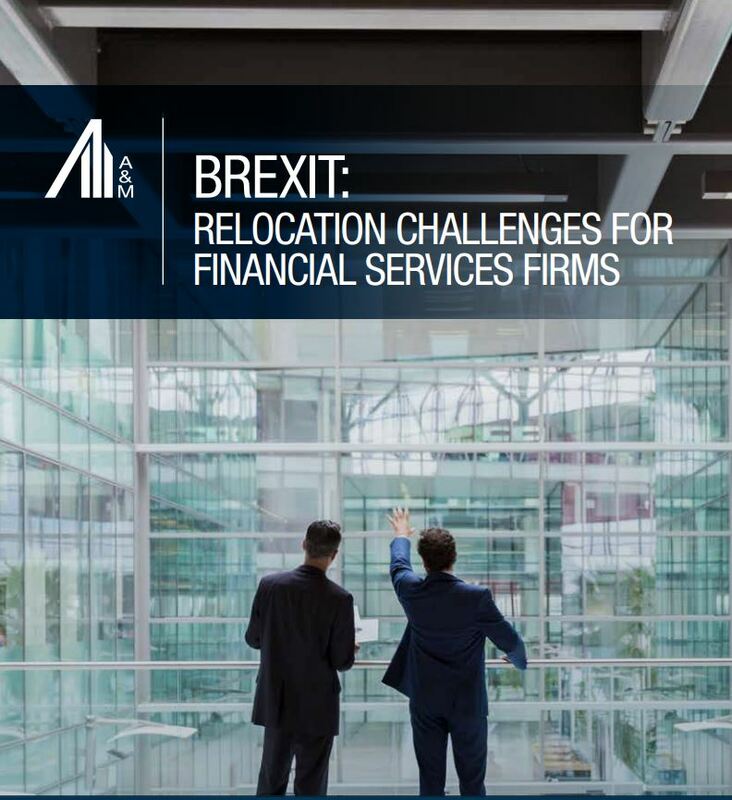 The paper also provides a view on the likely impacts of Brexit on different types of firms, depending on their geographical footprint, client profiles, and product portfolios, along with an indication of how long a full Brexit transformation programme is likely to take. The most heavily impacted firms will be those using a ‘hub’ model, with a European office (typically in the UK), currently serving customers across Europe. In planning for Brexit, firms will also need to be conscious of the expectations of domestic and international regulators. EU regulators have been very clear that they expect any firm relocating to their countries to be able to manage risks locally; moves will need to be ‘real’, and not simply a “shell” firm set up for market access reasons, and being operated from the UK. Finally, we discuss the steps required to execute an effective Brexit transformation programme. The complexity of such a programme is likely to require multiple workstreams with substantial requirements for business planning, strategic options analysis, regulation, technology and operations, HR, and capital planning teams.